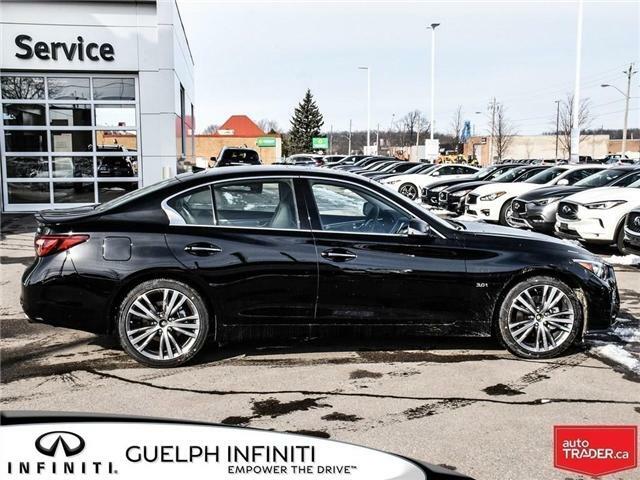 There are no limits with this 2019 Q50 Signature Edition! 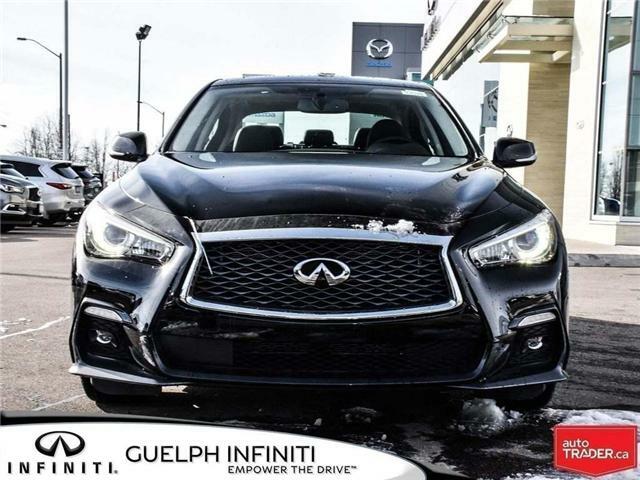 Thanks to the 3.0L Twin Turbo V6 Engine, mated to a slick 7-Speed Automatic Transmission, cranking out 300-HP, and including All-Wheel-Drive! 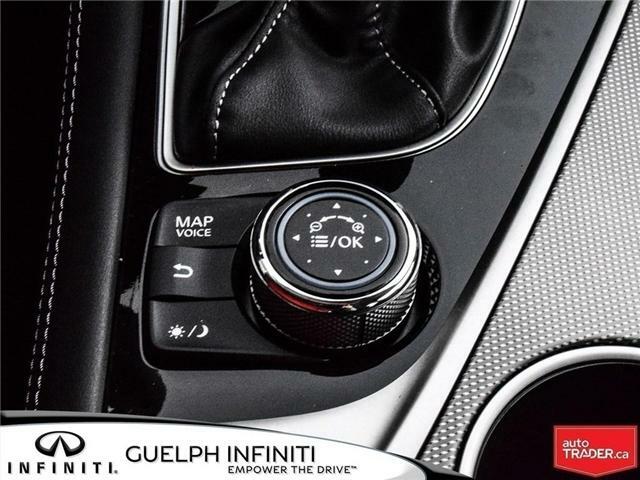 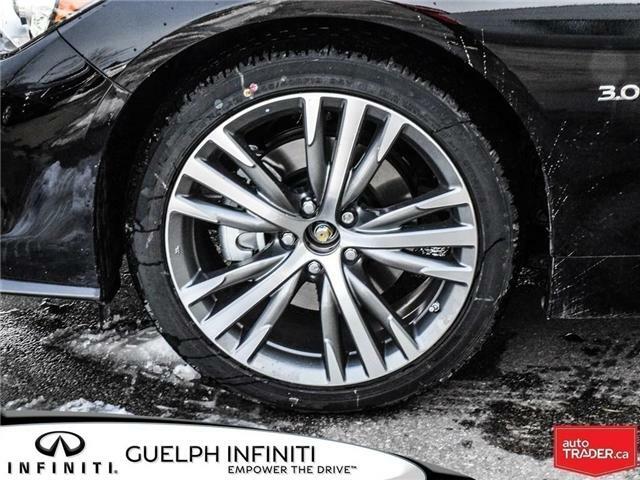 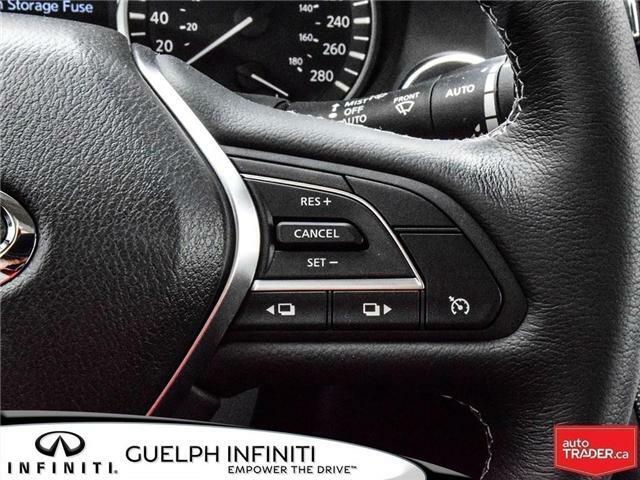 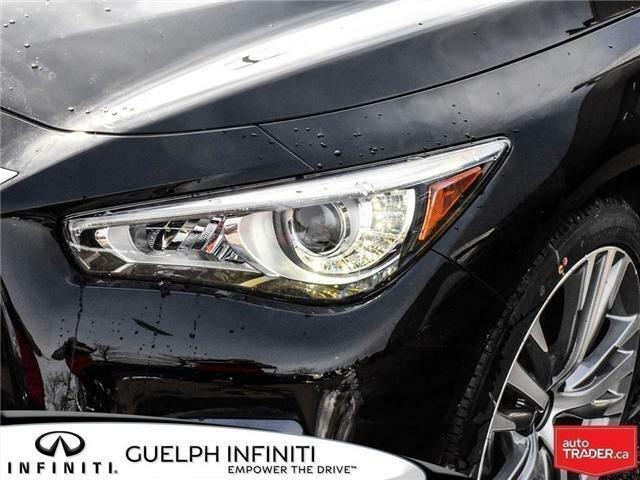 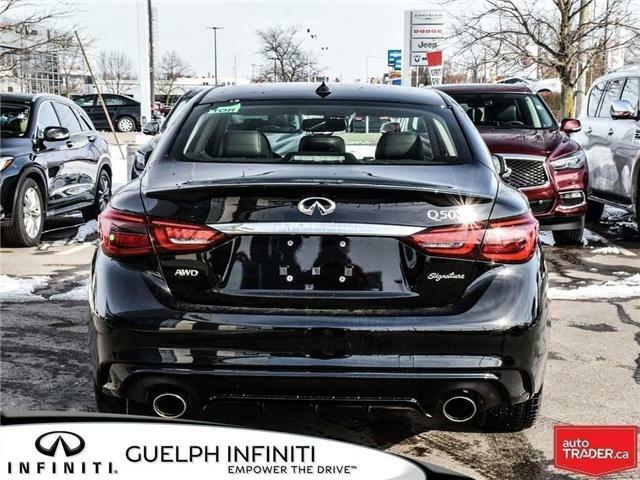 It just gets better when you add in an array of safety features such as Brake Assist, Vehicle Dynamic Control with Traction Control, a Tire Pressure Monitoring System, Forward Emergency Braking, Predictive Collision Warning, a Review Monitor, and the Infiniti Vehicle Immobilizer System! 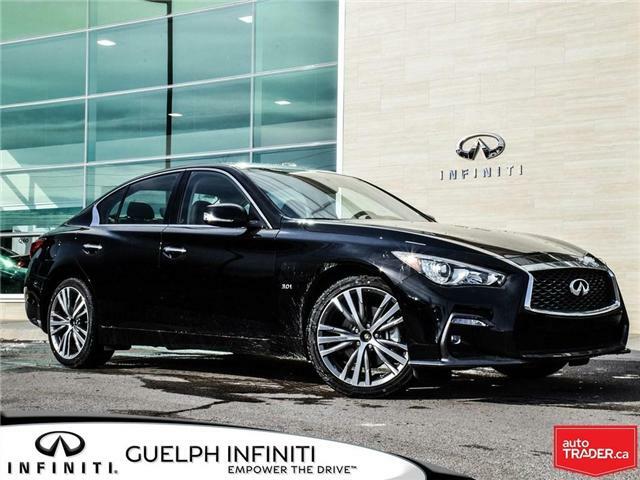 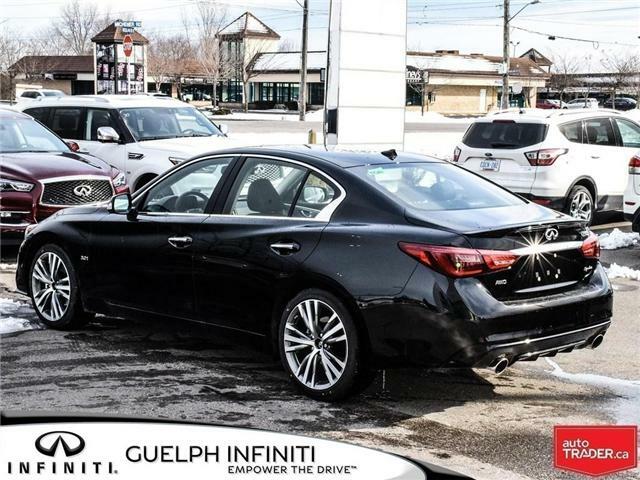 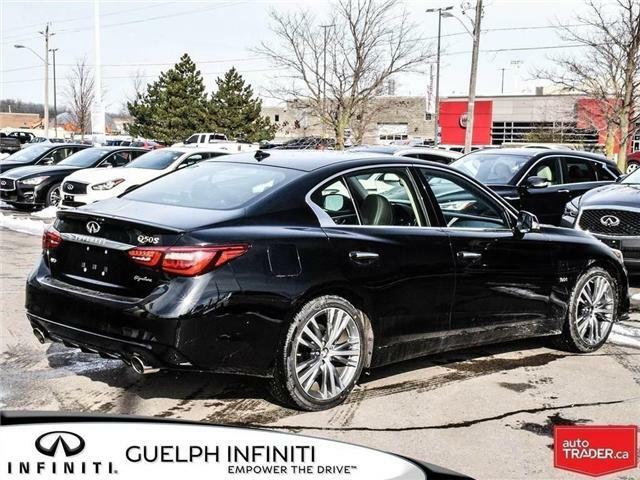 The exterior is also worth showing off with 19-Inch Alloy Wheels, Welcome Lighting, a Sport Front Bumper, a Rear Decklid Spoiler, Signature Edition Decklid Badging, a Power Sliding Moonroof, Auto On/Off LED Headlights, and a Chrome Infiniti Double Arch Signature Grille! 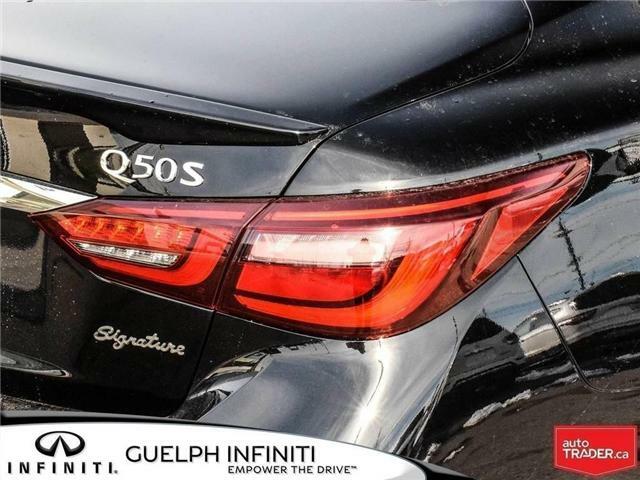 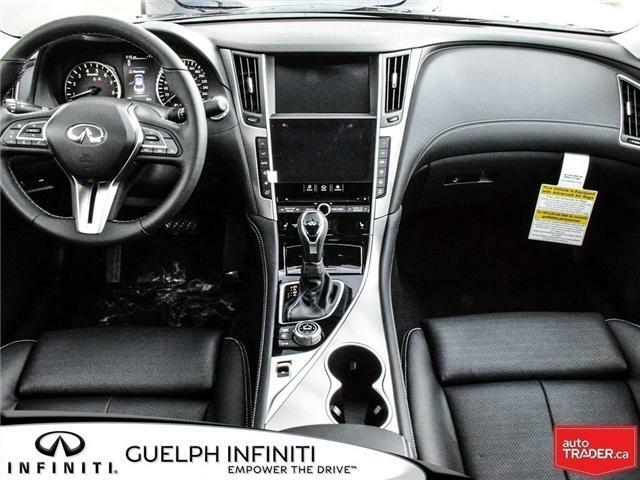 This Q50 will also give you your own personal concert on every drive through the 6-Speaker Audio System, including CD/AM/FM/SiriusXM Radio, with USB and Bluetooth connectivity! 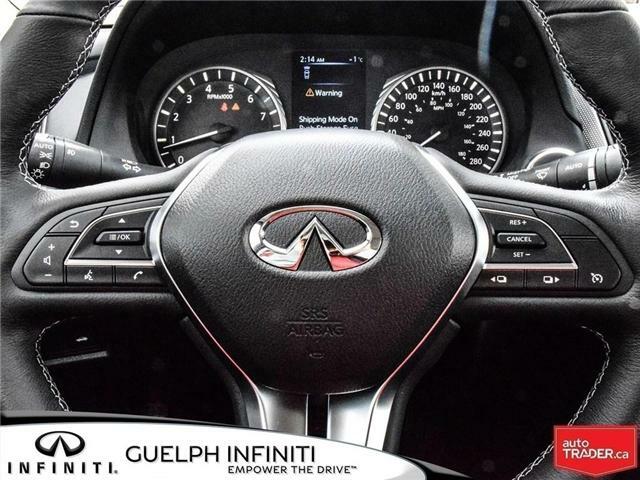 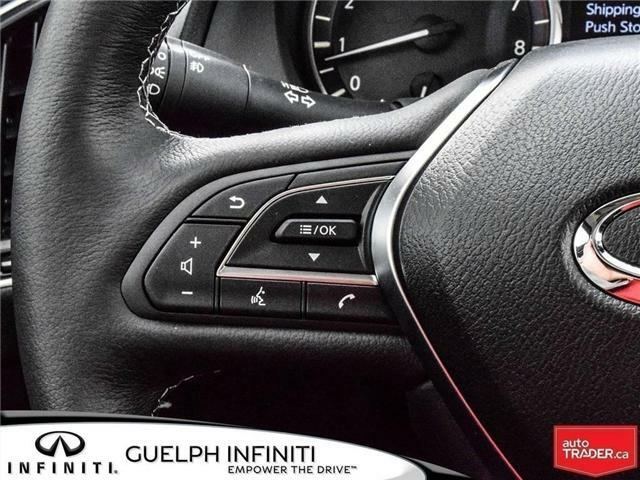 Plus, this Q50 also comes equipped with Infiniti InTouch Dual Display Screens, Infiniti InTouch Navigation with Voice Recognition, Lane Guidance and 3D Building Graphics, and Infiniti InTuition, for storing Climate, Audio and Driving Preferences for each Intelligent Key! 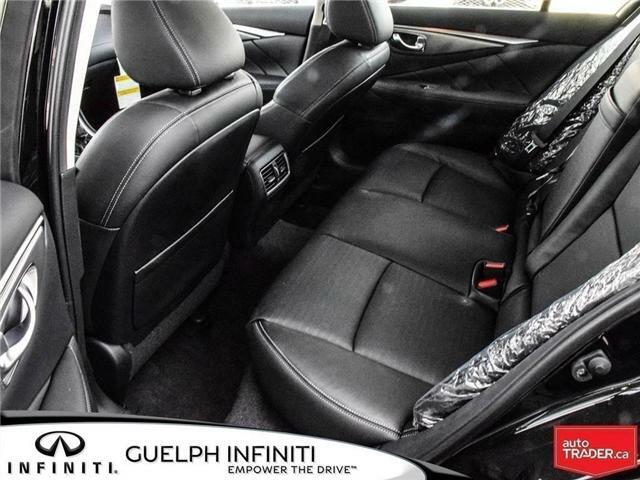 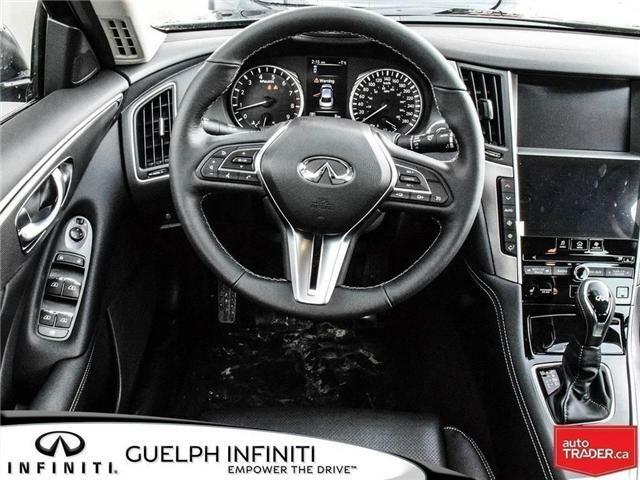 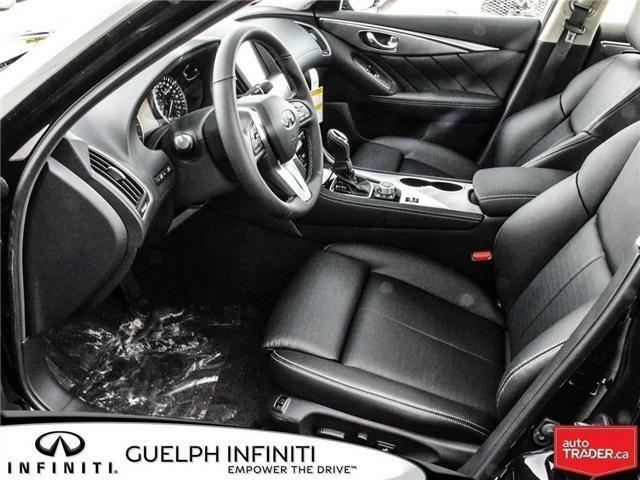 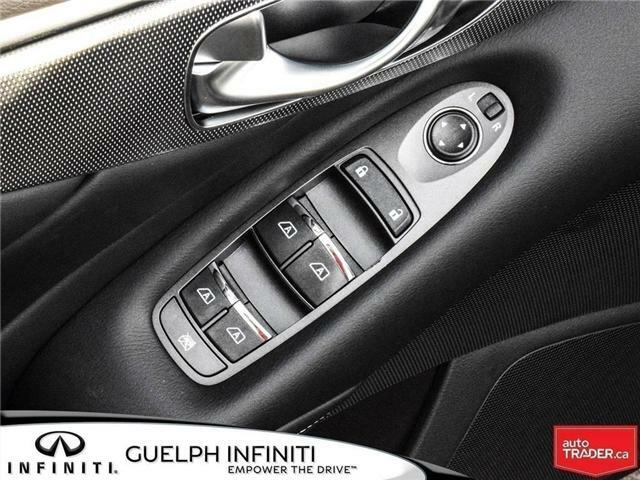 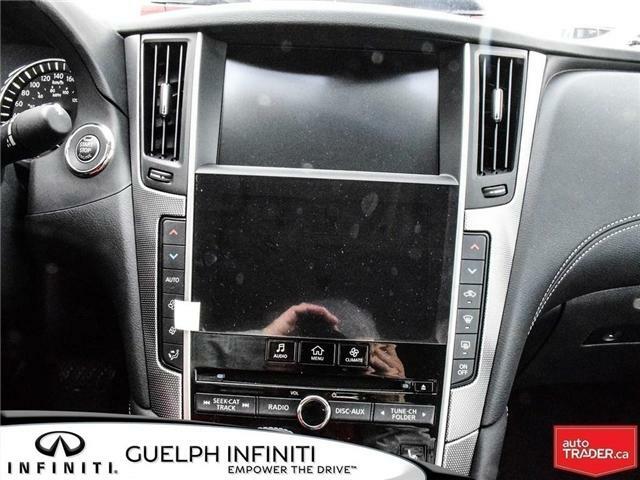 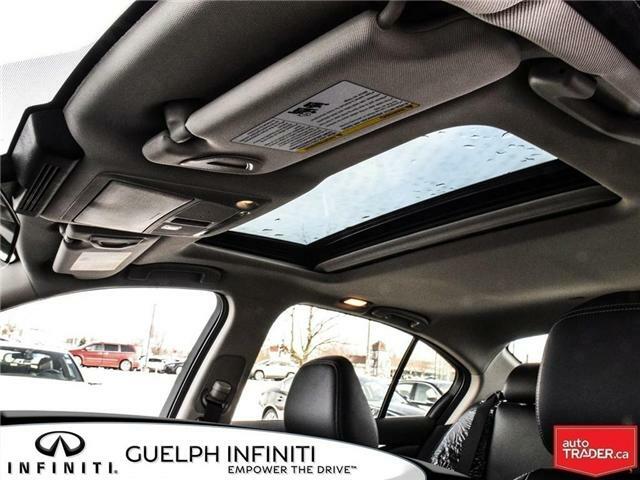 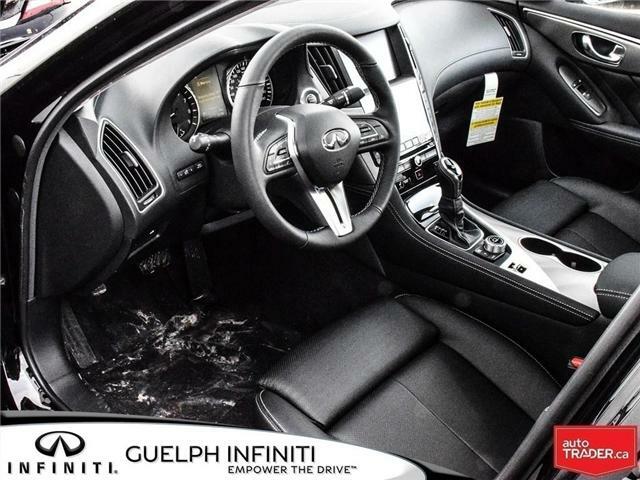 On the inside is a sleek interior space with beautiful Leather Sport Seats, Kacchu Aluminum Trim, Dual Zone Automatic Temperature Control, a Remote Engine Start, the Infiniti Intelligent Key with Push Button Ignition, and a Heated Leather Wrapped Steering Wheel with illumined controls for Audio, Bluetooth, Cruise Control, and Voice Recognition!